In the Japanese language: Rei (universal) Ki (life force energy). Reiki (ray-key) is a natural hands-on healing method. Reiki has the power to reunite body, mind and spirit in their optimal state of harmony. Energy is offered through the practitioner to the recipient activating the body’s natural ability to heal and transform itself. Reiki is found to have a calming effect on the body and the emotions. 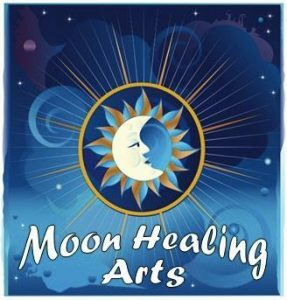 Reiki triggers the body’s natural healing abilities. Reiki healing is a natural therapy of pure life-force energy that promotes balance and the normal regenerative processes of the body and mind, especially when combined with the shared healing intention of both practitioner and client. Reiki can be used to balance chakras or clear energetic disturbances that interfere with our peace and balance. A session can be a few minutes to a hour or more in general practice. I offer sessions in 30 minute or 1-hour increments. I also offer Distance Reiki during which I send the energy to you wherever you are. Read more about Distance Reiki here. You will normally lie on a table fully clothed in my treatment space. 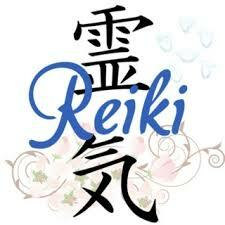 However, Reiki can adapt to different situations such as a chair or hospital bed, through a cast or bandages. Reiki is appropriate in any situation and anystate of health. Many people prefer to wear loose, comfortableclothing, but Reiki is still wonderful if you are in work clothes on a break from your day. The Reiki session is very simple. The energy is offered to you by my placing hands on your body. Sometimes in areas specific to a problem, and sometimes in a series of positions correlating to the chakras. It is very quite and peaceful and while the effects vary from person to person, but most people experience deep relaxation and calm. You may also perceive a tingling or pulsing sensation, a feeling of warmth and comfort,or you may even fall asleep. It is possible you’ll experience powerful emotions during or after a session or equally possible that you will feel subtle effects in your spirit. Used by a rapidly growing number of hospitals all over the world, Reiki complements medical treatment, natural therapies, and massage therapy. Reiki is being successfully integrated into numerous clinical settings to complement medical care and psychological counseling. It is gentle enough to offer support and reduce the discomforts of pregnant women and can help ease the pain of childbirth.